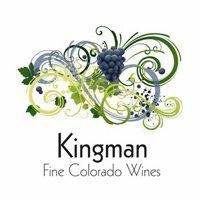 Kingman Estates Winery started with a dream and a strong desire to put Colorado Wines on par with other great wine producing regions of the world. The unique climate and soil conditions in the Grand Valley of Colorado yield a grape with outstanding characteristics for producing exquisite wines. Our winery and tasting room are located in Denver near several other great Colorado wineries. Come by and join us for a wonderful time and a taste of fine Colorado wines.